Gotu Kola benefits make this herb one of the most important in terms of promoting health. 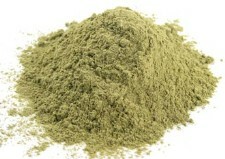 When I first read about this amazing substance, I felt that I had really missed the boat so to speak on this amazing herb. Yes I had heard of it, but never realized the potential of this substance to increase quality of life and enhance antiaging efforts! Don't confuse it with "kola nut" which contains caffeine. It is different and does not have any caffeine in it. Let's delve into this a bit and see just how this herb can help you enhance your personal health! 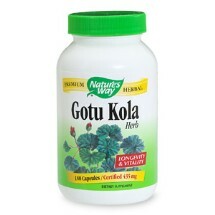 Gotu Kola is called a rejuvenative nervine (a nervine is a substance that is beneficial for the nervous system). Remember that the nervous system includes the brain as well, and there is evidence that gotu kola benefits extend to the brain as well as the body and nervous system. Here is a short list of purported benefits of this herb. With this impressive list of gotu kola benefits, it stands out as one of the most important healing herbs you never heard about! But does it have any downsides? Generally speaking herbs are many times safer than pharmaceutical drugs, but even though they are natural substances, they CAN cause problems if they aren't used properly. Much of the stern warnings of the medical profession about herbs are made out of ignorance, rather than knowledge, but you should do your homework before using them, and gotu kola is no exception. Please note: women who are pregnant or nursing, should not take gotu kola or any other herb or nutraceutical without first checking with their doctor. Once again, I feel it is important that your doctor have a thorough understanding of nutrition and nutritional supplementation so he or she can give you good advice based on knowledge and not ignorance and medical bias. In light of these side effects of gotu kola, it makes sense to tell your doctor about all the herbs, and other nutritional supplements you are taking. If you doctor is not knowledgeable about them and is generally negative toward all nutritional supplements, then you should probably think about changing doctors. Ignorance is not a basis to be making ANY recommendations to you, so if your doctor does not know or understand nutritional supplementation, he or she should refer you to someone who does. Negative interactions can happen between drugs, vitamins, and herbs, so play it safe and get the proper guidance to use them safely and effectively. This is perhaps one more reason to see an antiaging doctor, as they will be much likely to be knowledgeable about gotu kola benefits and all other aspects of nutrition. Ok so we know this stuff is beneficial in a number of ways, but what about dosage and brand? I have seen this supplement in dosages of 100 to 500 mg per capsule. I can't suggest a safe and effective dosage for individuals I don't know. This is why I would recommend you seek the advice of a doctor of nutritionist regarding dosage protocols, to maximize the benefits of gotu kola. Gotu kola benefits will vary with the individual and the condition they are taking it to address. Brain benefits may require a different dosage than wound healing or calming the nervous system. Indications are that this herb is generally well tolerated, but there are always individuals that may have a sensitivity to it and react negatively. As with any supplement or herb, go slowly and carefully. Educate yourself on what you are taking, and how it affects your body. Gotu kola benefits may just be the next super development of the supplement world. I will update you on this subject, as my own experience with gotu kola provides me with more firsthand information!